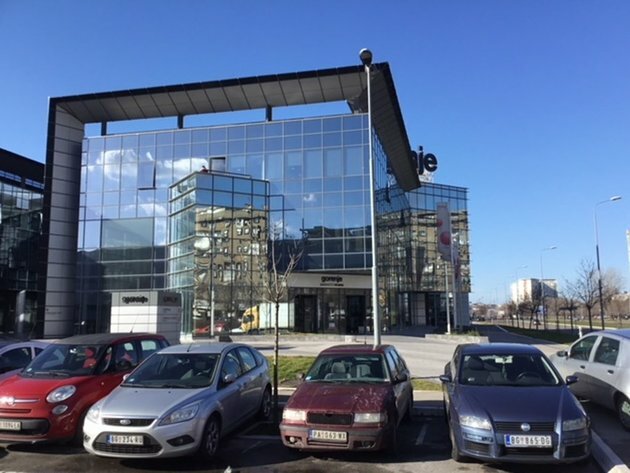 The company CBS International has advertised the sale of one of the best positioned modern office buildings in the Milutin Milankovica Blvd in New Belgrade, in the central business zone. The facility is located in close proximity to the Hyundai building and Expo Centar, as well as Hotel Holiday Inn, and not far from the Belgrade-Zagreb highway. The building features an underground parking lot and storage space and a ground floor with 4 meters in height, which, the company says, is ideal for various retail services. The three upper tiers can be adapted into office space, whether of the open type, or split into separate offices, in line with the needs of the business. The total area of the facility is 3,912 m2, of which 2,523 m2 above ground. The underground section encompasses the garage lot for over 20 cars, storage space of 300 m2 and all technical rooms. As CBS International says, the building has “indisputable investment potential”. – Thanks to its location, quality and corporate image, the lease capacity of it will always be filled to a great extent. Also, the building is a great solution for the companies giving advantage to the purchase of office space for their own needs, as this is a unique offer in the market, which fully meets all the parameters of modern business – the company says.